ArcGIS Pro provides tools that allow you to build custom locators for your organization. It may be advantageous to build a custom locator if your organization has asset and address data to search.. You can do this, and use any of the locators available from Esri as well. 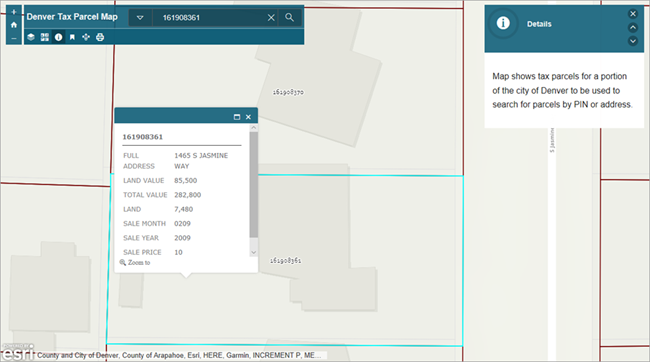 You can also search your asset data using feature search in the Locate pane, where you can search gas meter features based on exact input or input that is contained by the feature, for example. Locators, however, are built to find addresses and places and can handle errors such as misspellings or missing address components such as postal codes. If the data that your organization manages is updated frequently and you need to search the most current data, it may make sense to build a custom locator. For example, if the county tax collector provides an online parcel map, you can look up your address to determine your property taxes, or a realtor can use the application to check whether a home has a tax lien. In these examples, it's important that the locator reference the most accurate and current information. Another reason that a custom locator may be a good choice is if your organization has unique or custom data to search. For example, a GIS department of a densely populated city has a dataset of charging station locations; they can build a locator based on this dataset so citizens can locate the stations. They can publish the locator as a locator service to use in a custom app where citizens provide their current location to find the nearest charging station.